Cloud applications are here to stay—but you can banish 'Shadow IT'. Zscaler puts you back in charge by providing visibility and granular policy control over application usage while ensuring protection from advanced and zero day threats. Today a typical enterprise uses more than 100 different cloud applications, most of which are being used at the individual, groups or department level within an organization with little or no technical expertise. The challenge facing IT today is hence multi-fold—starting from unmasking the hidden world of cloud applications to effectively managing and reporting on their usage. Cloud applications used without the sanction of the IT team, so called ‘shadow IT’, typically includes a variety of consumer and departmental cloud applications—ranging from Box to ADP and salesforce.com, as well as personal and social applications like Facebook, Gmail and YouTube. Zscaler provides robust cloud application visibility—we let you know exactly which applications are being used by your employees, by whom, and when, and we give you granular controls to manage and secure your critical corporate data. challenge. Streaming media applications also introduce the challenge of bandwidth usage and user experience. Heavy usage of media rich applications can reduce the bandwidth available for business critical applications, deteriorating user experience and negatively impacting user productivity. Zscaler gives you complete control over cloud application usage, with fine grained, user level controls—and also includes traffic shaping so you can preserve bandwidth for mission critical business applications. Securing cloud application usage requires protection against external threats and against employees willfully or inadvertently leaking sensitive or confidential data. 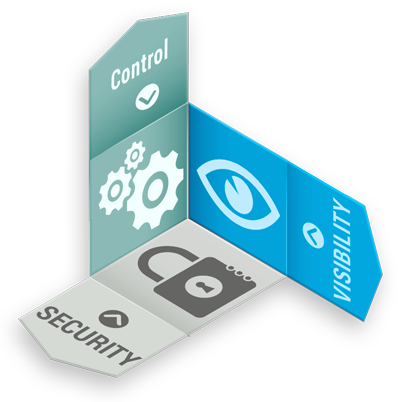 The challenge is magnified because most cloud applications use secure sockets layer (SSL). Inspecting SSL traffic with traditional on-premise or hybrid architectures necessitates significantly more expensive hardware to keep up with the computational demands for SSL decryption. Zscaler inspects every byte passing between your employees and the Internet, and can automatically decrypt and inspect SSL traffic—protecting your users from threats, ensuring compliance with corporate policy and stopping data leakage. 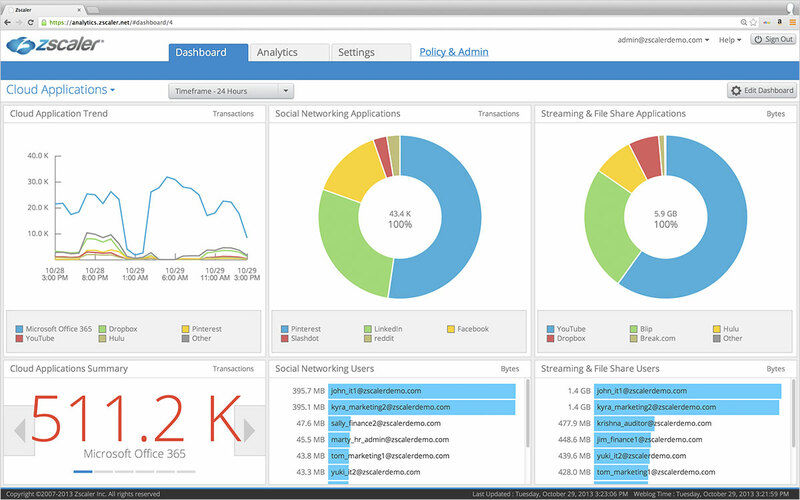 Since Zscaler is delivered as a service, you don’t need to worry about capacity or computational requirements to scan all of your traffic.